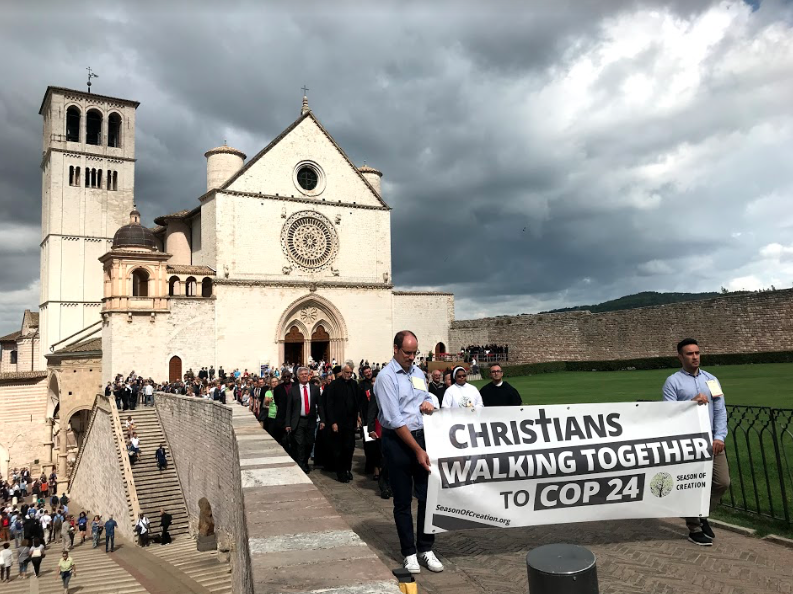 To open the Season of Creation, an ecumenical prayer service, “Walking together to COP24,” was held in Assisi. 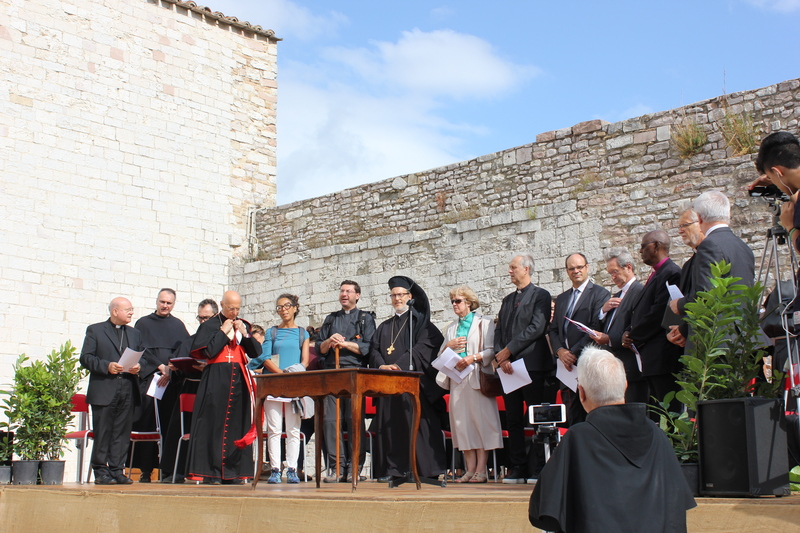 This event brought together representatives of the Vatican, the World Council of Churches, the Anglican Communion, the Ecumenical Patriarch, the Lutheran World Federation, and many more. The event highlighted shared Christian love of Creator and all creation. Leaders encouraged action at the political level and symbolically sent the spirit of St. Francis on pilgrimage to COP24, the UN climate talks to be held in Poland this December. The two-day event was organized into “steps” on the road to care of creation. Ecumenical leaders offered reflection on Francis’ renunciation and our ecological conversion. See a recording of the live stream and the photos of the first step. In front of the Crucifix of Saint Damian, eumenical leaders engaged in a contemplative vigil on St. Francis’ mandate and our witness in taking care of Creation. See a recording of the live stream and the photos of the second step. Leaders blessed the start of the pilgrimage from Assisi to Gubbio, now in its 10th anniversary. They reflected on the Path of Francis and our walking together, united in our sincere wish to protect creation and all those who share it. Pilgrims were blessed by Mgr. Domenico Sorrentino, Bishop of the Diocese of Assisi–Nocera Umbra –Gualdo Tadino, and Mgr. Luciano Paolucci Bedini, Bishop of the Diocese of Gubbio. Read the text of the pilgrim’s prayer. Leaders read the joint ecumenical declaration on creation. The declaration highlights St. Francis’s Cantico Laudato si’ mi’ signore and issued a call for unity within the Christian communion in light of the current ecological crisis, inviting all Christians and people of good faith to celebrate Season of Creation and take bold action for climate in COP24. Leaders took the first steps of a symbolic journey from the Basilica of St. Francis of Assisi to COP24. See a recording of the live stream of the fourth step. Read the list of participants. Find media coverage of the event. See photos of the third and fourth step and other activities of that day. Read the prayer booklet of the first and second steps of the prayer.